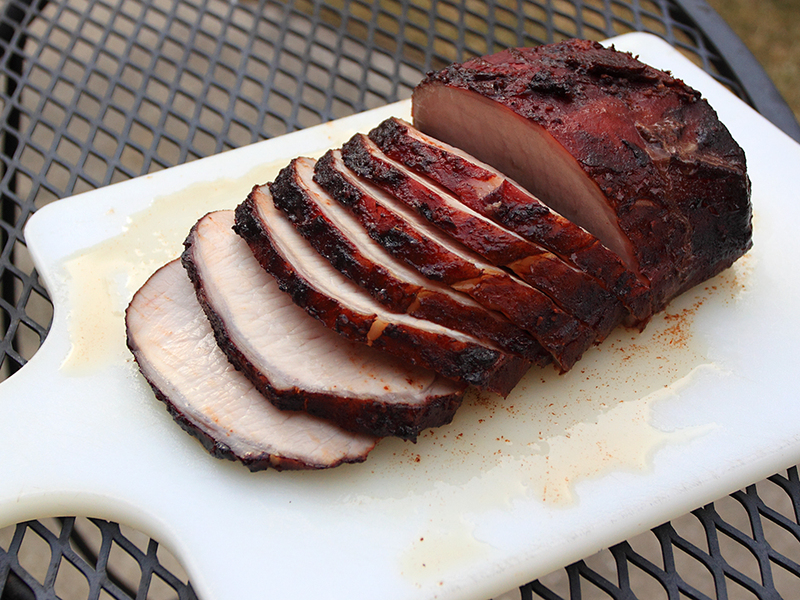 This is a recipe based on the 3-2-1 smoker preparation method. I cannot take credit for it, and have spent many hours perfecting it based on time-tested techniques posted by others. A dry rub is applied to choice baby back ribs which are smoked for three hours, then basted and braised for two hours, then basted and heated for an additional hour at a constant temperature. 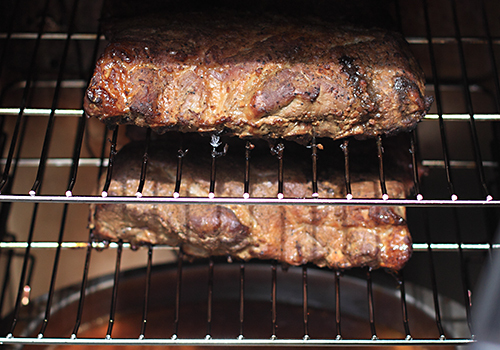 An electric smoker takes the guesswork and hassle out of the preparation. The result is amazing. 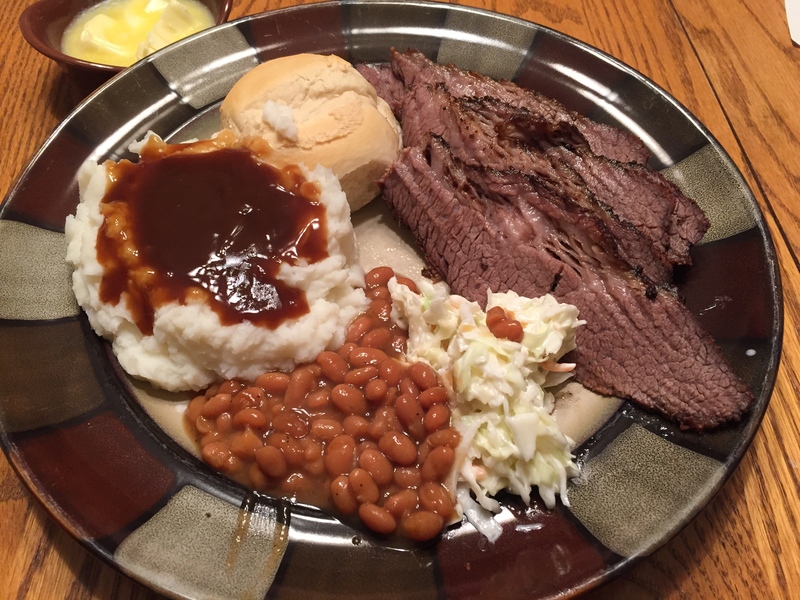 Serve with grilled corn, baked beans and coleslaw on the side. Cut each full rack of ribs in half and then remove the membrane from the concave side. Use a paper towel to help grip the membrane – slowly pull it off like a decal. 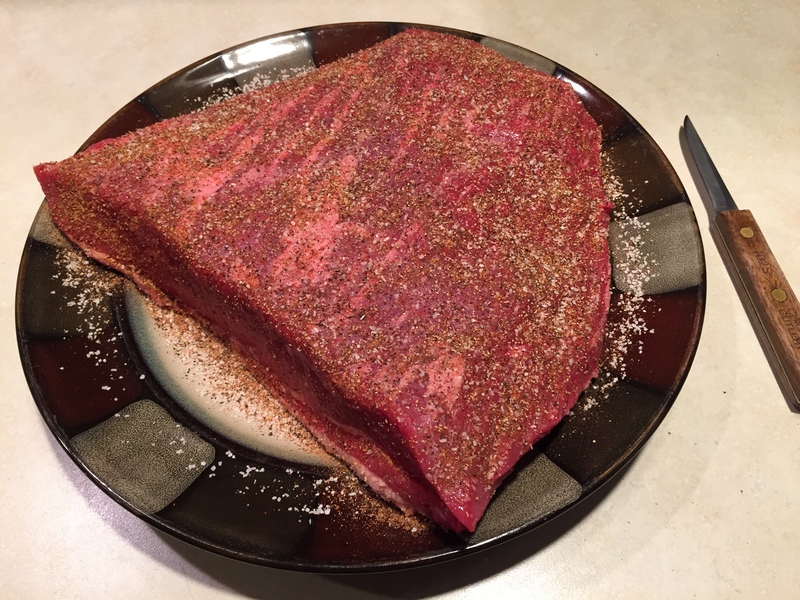 It is important to do this so the rub will penetrate the meat. 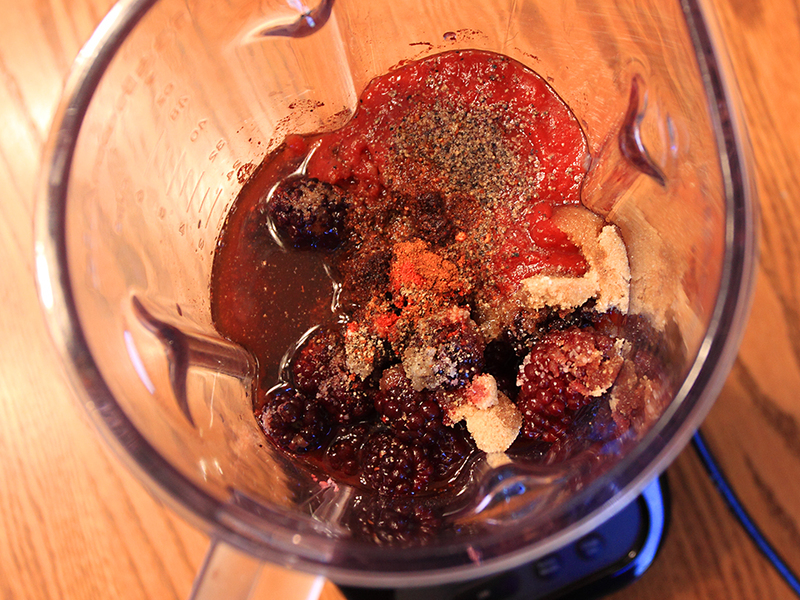 Generously shake your choice of BBQ rub on both sides of the ribs. Gently press so the rub sticks to the meat. 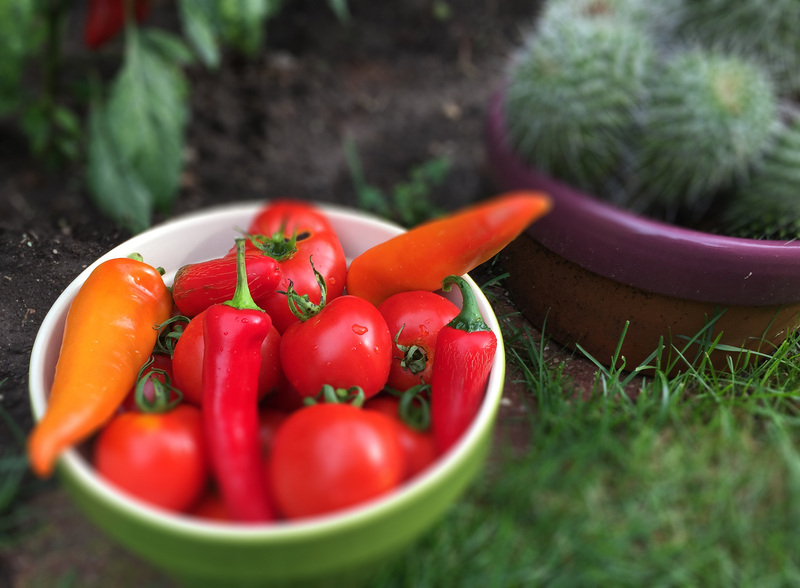 Cover and refrigerate for at least 12-24 hours. 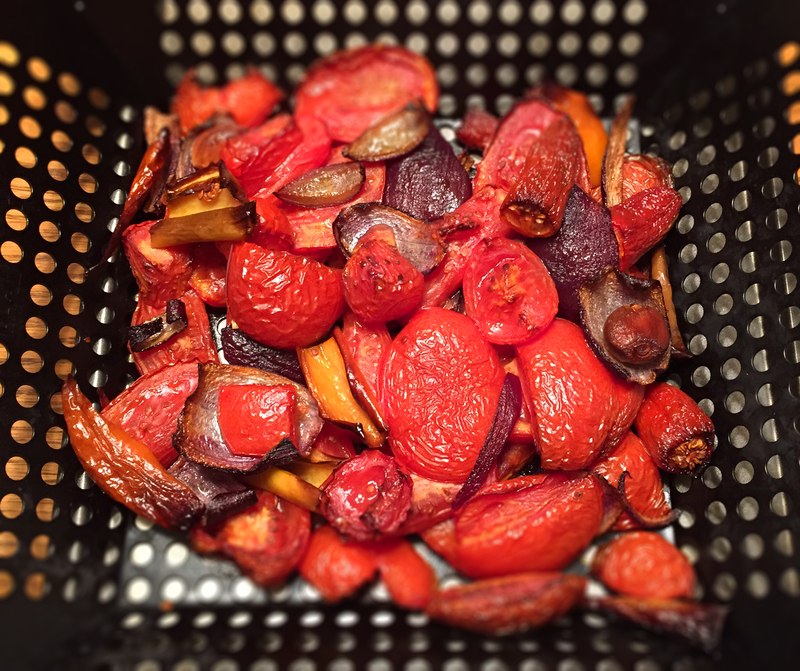 The next day, prepare an electric smoker by adding two cups of apple juice to the drip tray. Seal the door and preheat to 225°F. Wipe a small amount of peanut oil or nonstick cooking spray on the smoker grates so the ribs don’t stick. 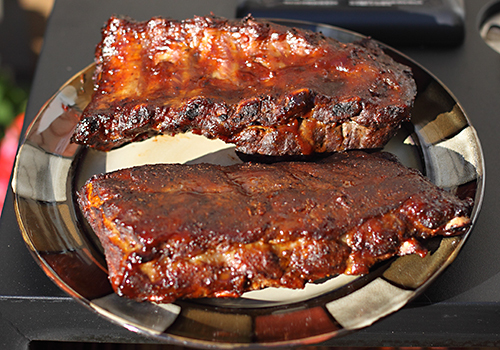 When the smoker is preheated, place the ribs on the smoker grates and seal the door. Add one tray full of hickory wood chips to the chip loader each hour for the first three hours of smoking. No peeking! You lose heat every time the door is opened. 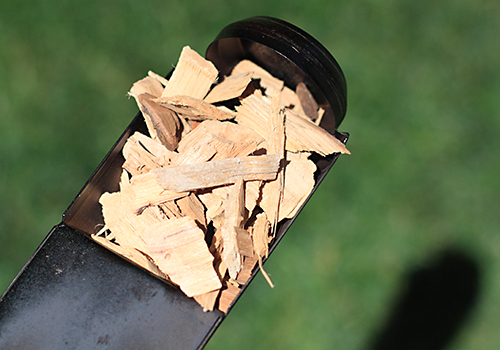 Apple wood chips are also excellent for smoking, or a combination of the two. Rotate the smoking grates so the ribs closest to the top of the smoker box are placed near the bottom and the bottom grate is placed at the top after the first hour. Remove the ribs from the rack and baste generously with your choice of BBQ sauce. Two of my personal favorites are Stubb’s and Famous Dave’s. Place in a covered enameled baking pan with two cups of apple juice. 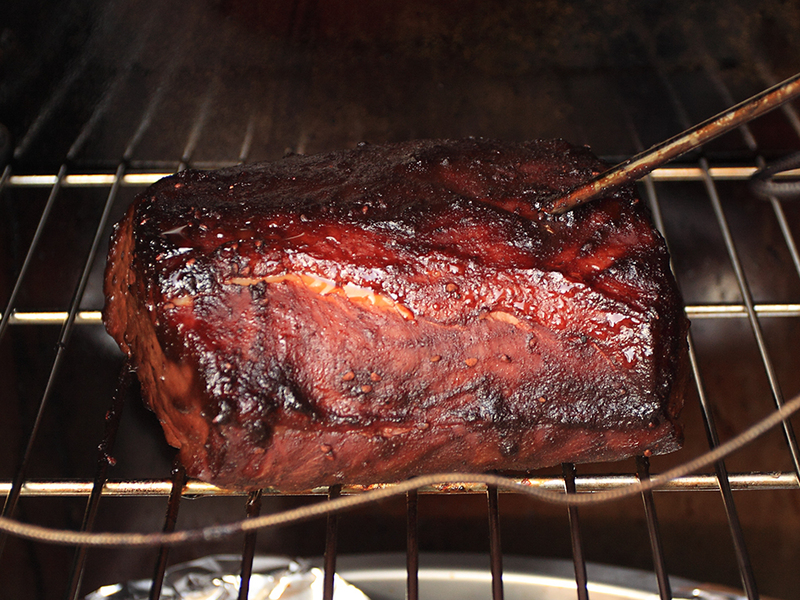 Cover tightly and cook in the smoker (NO SMOKE) for two additional hours. Rotate the ribs in the pan after the fourth hour. 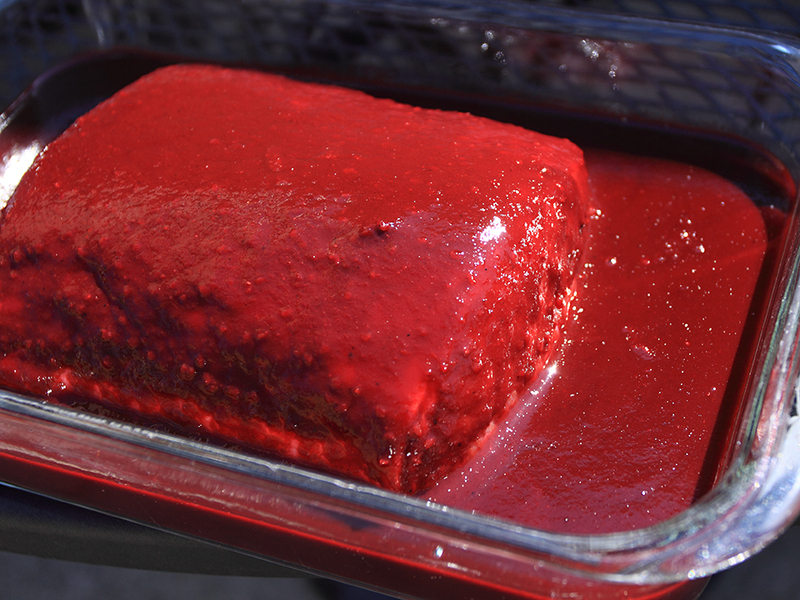 Remove the ribs from the covered baking pan and baste again with BBQ sauce. 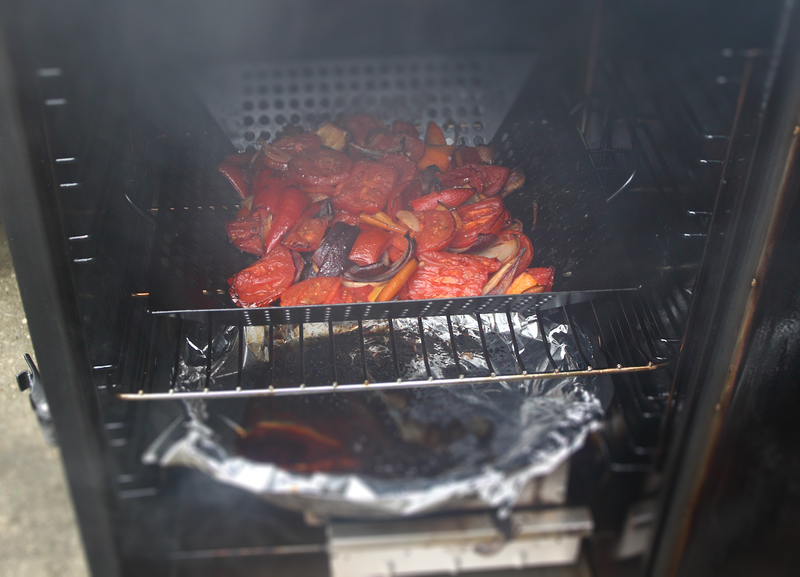 Bake directly on the smoker grates for one additional hour, until tender, with NO SMOKE. 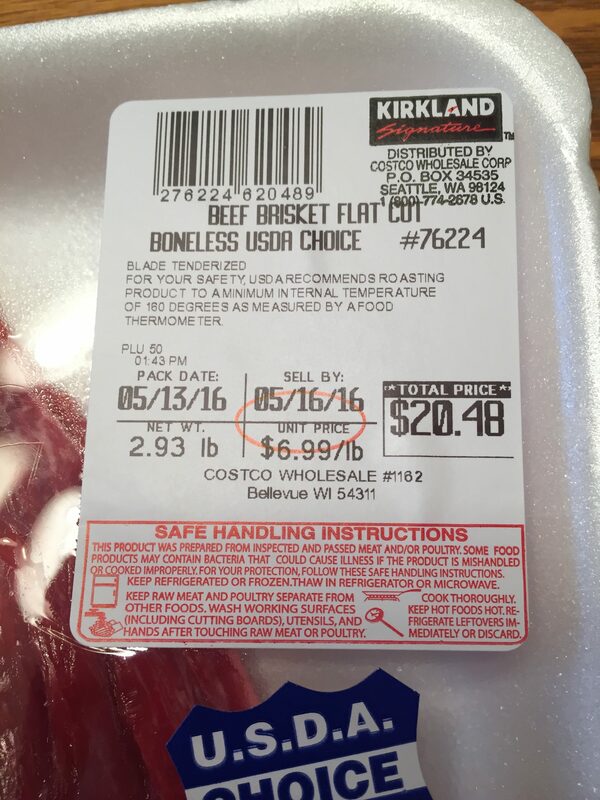 The meat should easily pull apart when the rib bones are bent at an angle. 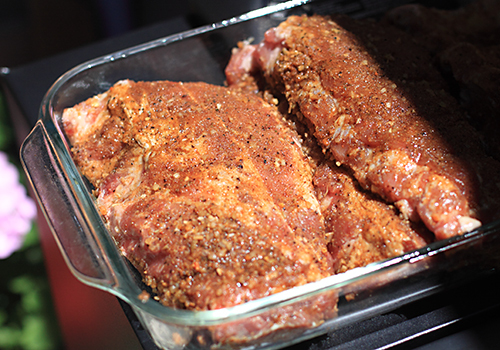 You’ll also want to ensure the meat has receded slightly (1/2″) from the ends of the rib bones. The bones should have a nice char on the ends. Cover and keep warm until ready in a serving dish. 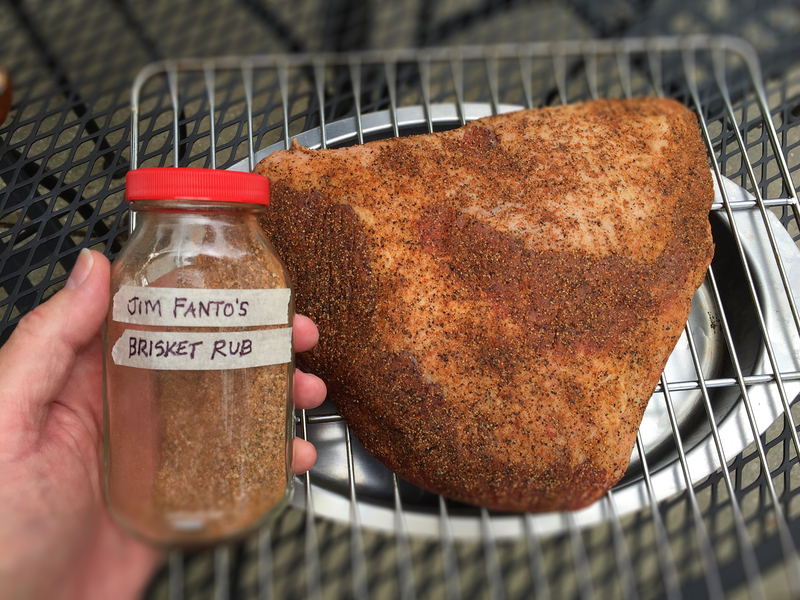 The smoker should be set at 225°F for the duration of the cooking process. Total cooking time: 6 hours. This is a recipe loosely based on John McLemore’s recipe from Dadgum That’s Good! I thought his version was good, but a tad dry. I tweaked it by adding buttermilk, two extra spices, Velveeta cheese and BACON. In my humble opinion, every mac ‘n’ cheese recipe should have bacon in it. Indeed — the world is a better place with more cheese and bacon. 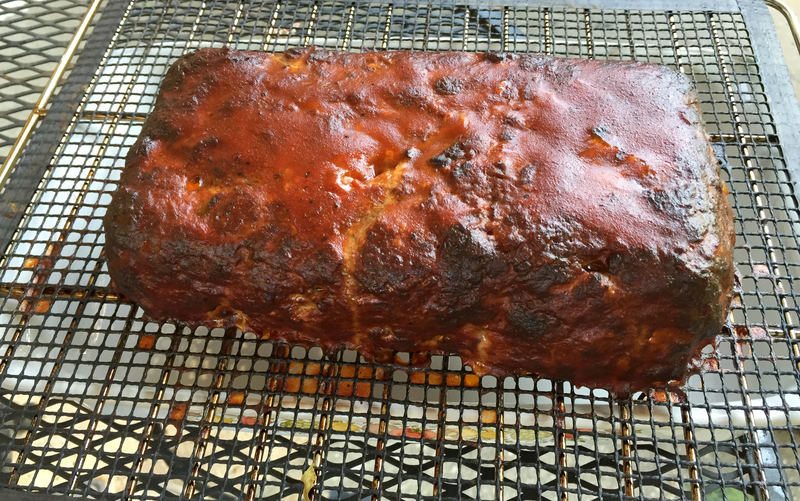 For this recipe I use a 30″ Masterbuilt Smoker with an electronic temperature control. It’s pretty much idiot-proof and the result is amazing. Don’t be alarmed when half of your neighborhood stops over and asks what that wonderful smell is. The combination of apple wood smoke, Gouda cheese and bacon is unbeatable. Preheat your smoker to 225° F, and ensure the wood chip holder is inserted (without wood) so the interior of the smoker box stays hot. Completely shut the top vent. Cook the pasta until just al dente in water with a pinch of salt. Drain well and set aside. In a medium, heavy saucepan, melt the butter and whisk the flour into the butter. 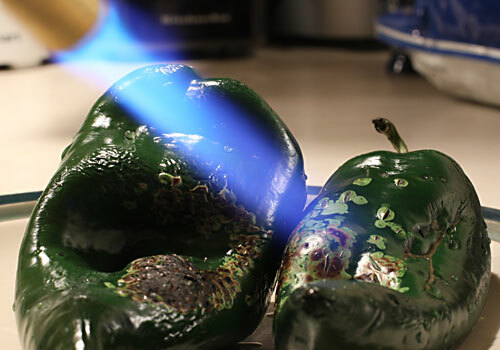 Be careful not to scorch it, and stir constantly. Cook for two minutes until the sauce is bubbly and thick. Slowly whisk in the milk and buttermilk and bring to a low boil. Cook another five minutes until thickened. Add the Lawry’s salt, white pepper, garlic powder and paprika. Stir in the crumbled bacon, cubed cream cheese and Velveeta, and mix until smooth. In a separate mixing bowl, combine one cup of the sharp cheddar and Gouda cheese and all of the Parmesan cheese, cooked pasta and the cream sauce. Stir gently, then spoon the mixture into a 11 x 9.5″ disposable aluminum baking tray coated generously with non-stick cooking spray. Sprinkle the top with the remaining cup of shredded cheddar and Gouda cheese. When the smoker is preheated, load the chip holder with apple wood. Place the baking pan on the center rack, seal the door and cook for one hour. 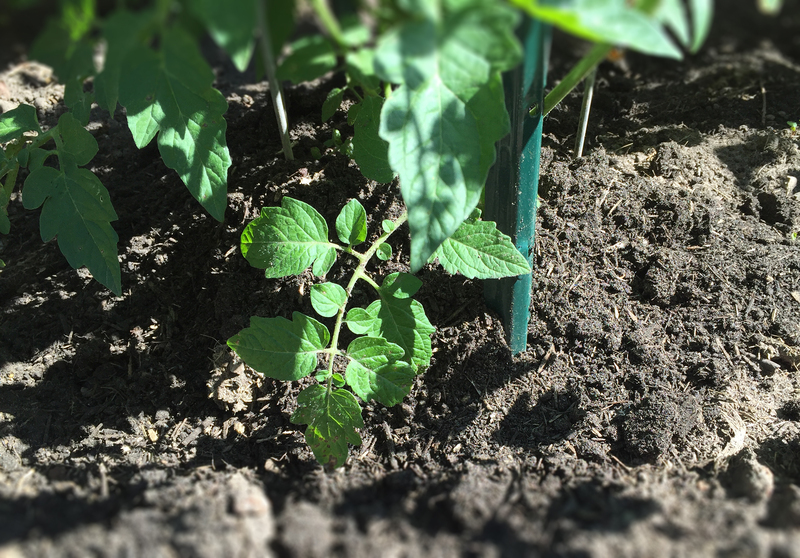 Leave the top smoke vent open only 1/4″ for full flavor. Remove, let set five minutes and serve.